The Heart of Sustainability: Big Ideas from the field of Environmental Education and their Relationship to Sustainability Education or What’s love got to do with it? A common raven suddenly begins to call from Cornwall Park. I rush to the front porch trying to see what the commotion is all about. Two adult ravens are flapping high over the green canopy, croaking vigorously. Like vigilant Block Watch captains protecting the integrity of a neighborhood, ravens exhibit exceptional observational prowess coupled with intense fidelity to family and place. I scan the forest with binoculars and notice three raven fledglings perched in a scraggly birch tree at the edge of the forest. Scanning higher, I finally detect a distant bald eagle circling over the urban park where the ravens have nested for a decade. Ravens recognize an opportunistic predator like a bald eagle as a “threat to the neighborhood” and they act decisively to protect their home. The raven’s objection is clearly articulated through their vocalizations and aerial antics and the bald eagle soon circles out of sight. Why is it that when human observers experience an ecological threat and speak out in alarm (warning against drilling oil 5000 feet below the ocean surface or climate change) that our most heartfelt appeals remain ineffective? Is it an inability to understand the true threat to our children? If we truly perceived the ability of humanity to survive as linked to the ecological integrity of our surroundings, would the human response to these cries of alarm be different? What roles do love and caring play? As life-long naturalists in the northwest, we intimately know the texture and nuance of our home landscapes. We welcome the migrations and bloom sequences that pulse with seasonal variations in climate as evidence of the cycles that contain and sustain us. Through surveys and species inventories of rare plants, birds and marine communities, we have helped to systematically chronicle the changes in distribution of northwest flora and fauna. After years of naturalizing and teaching in the wild places that comprise Cascadia, we unabashedly venerate the relationships between biota, land and season. As educators and writers we choose to express our biophilia by sharing our love for the land and sea. We resonate with healthy and diverse natural communities. Yet, increasingly, we are alarmed by the degradation of our local landscapes and the habitat changes that threaten species diversity and human security. Today, we find ourselves steeped in the 21st century assault on nature. We witness the continued loss of basic knowledge of ecosystem components and functions to the extent that dramatic changes seem to go unnoticed by our students, friends and neighbors. “One of the penalties of an ecological education,” warned Leopold (1987), “is that we live alone in a world of wounds.” To heal these wounds we choose to live and act decisively as purposeful educators in favor of ecological, economic and cultural integrity. The more we read and think about the implications of what is taking place now on this planet, the more we are convinced that human civilization is facing a deepening ecological crisis that has never been faced before. If we want to create a culture, environment and economy that are viable in the longer term, we must learn to promote an ecologically sustainable, socially equitable and bio-culturally diverse planet (Bowers, 2010). We believe the central question for educators is how do we engage our students in a consideration of the degradation of earth’s ecosystems and their ability to support us in our current lifestyle in a way that engenders something other than despair? In an interview with Bill Moyer, Barry Lopez states “the kind of expertise we need is not a facile grasp of policy, but a deeper love of humanity. The kind of love that can help us resist the temptation to despair” (Moyer, 2010). As environmental educators, we hold the belief that this capacity for love can and must be cultivated through shared experiences that help people discover value in the natural world, experiences that encourage the exploration of what we believe and who we are and how we intend to live in the world. One of the well-known issues with “sustainability” is that the term is rarely if ever clearly defined. What are we trying to sustain – our lifestyle, economy or surrounding natural communities? Walls and Jinkling (2002) warn that “sustainability talk can, when used by advocates with radically different ideas about what should be sustained, mask central issues under the false pretense of a shared understanding, a set of values and common vision of the future” (p.2). For example, in Hot, Flat and Crowded, Freidman (2008) suggests that sustainability literally means that we must learn to think and behave in a way that sustains the natural world and our cultural relationships for generations to come. Are we hoping to sustain conditions as they are now or actually improve conditions through ecological restoration and resource conservation? Certainly our human well-being depends on a vibrant economy, healthy environment and equitable society (Nolet & Wheeler, 2010). Do we therefore mean “sustainability” of an industrialized country or are we betting that a less economically developed country will have more staying power? Moreover, if one country’s lifestyle is essentially dependent, as it is in America, on natural resource “subsidies” from other countries, especially from countries far less well off than this country and its citizens, can that lifestyle in any measure really be “sustainable?” It is essential to think globally with sustainability arguments. Yet, the issues of “sustainability” are intimately related to the local “carrying capacity” of the land which has been greatly diminished through resource exploitation, pollution and poor land and water stewardship. Nowhere in these emerging notions of sustainability education do we see a substitute for the curricular activities applied in environmental education to cultivate feelings for humanity or value for healthy ecosystems in the natural world, the foundation from which any true change must grow (Wilson, 1984, 1994, 2006). To pursue ecosystem-based resource management or gain insights into functional ecosystem processes requires the cultivation of intimate knowledge of one’s homeground, of paying close attention to one’s surroundings and exploring one’s values and feelings based on the relationship of people to nature, yet many argue for the separation of sustainability education from the big ideas of environmental education in a desire to distinguish one field from the other. We argue that to inspire people enough to make changes in their perceptions and behaviors, sustainability education must embrace the central role of acquiring ecological knowledge through direct and shared experience in the natural world. Conversely, leaders in environmental education describe as a characteristic of their field an interdisciplinary approach, with the unifying theme being a study of the relationship between people (which by definition includes economics and social issues) and the environment. This relationship is best explored through multiple disciplines including science, literature, history, civics and the arts. As naturalists and educators, we are concerned that the importance of cultivating love for nature and humanity is diminished as sustainability education seeks to define a separate domain and promote it’s “newness” in contrast to environmental education’s implied “oldness.” We have watched sustainability education grow and define itself in contrast to place-based, nature-centered, experiential environmental education and see this as a detriment to the emerging discipline’s ability to accomplish its stated goals. Now more than ever we need a strong connection to nature forged through direct experiences in the natural world as the basis from which the ability to consider broader connections and imagine alternate futures can unfold. The desire to distinguish sustainability education as something new or substantially different from environmental education often results in the perhaps unintended marginalization of educational practices that seek to instill ecological awareness and knowledge through direct experience in nature. By focusing on more abstract learning about economics and social issues sustainability education attempts to create “green” schools and practices without building underlying curricular foundations tied to experiencing the natural world. While we agree that the concept of a triple bottom line should be included in the study of economics, and the relationship of people to environment considered in the study of social and cultural issues, it is our human relationship to nature that remains the best big picture integrator. There has long been a need in environmental education to develop and expand curriculum in social studies, and sustainability education could well fit this need, but the goal should be to create a broader integrated curricular foundation built on teaching children to value and understand their relationship to nature. That is best done in place and through direct experience in order to allow students to consider and form their own relationship to nature (Sobel, 2008). A more advanced curriculum may ultimately outgrow sustainability all together (Rowland, 2010) by embodying the underlying principles of “ecology, coupled with the values, ability, and fortitude to act on that understanding” (Capra & Stone, 2010). Where does this leave us as we embark on the important work of understanding and implementing sustainability education? To effectively educate for change and sustainability, we have to define clearly what we value in good educational practices. Environmental Education has often been described as not a necessarily a unique subject area but a call to embrace the best practices in education such as integrated, learner centered and experience based approaches. In the process of curriculum design as it is currently being taught, teachers are asked first to identify the big ideas of the topic. We propose that the big ideas of sustainability education overlap with those of environmental education in many significant areas, including but not limited to those listed below. Strategies like teacher training and the development of curricular scope and sequence for sustainability education should reflect these ideas. We are losing touch with the natural world that sustains us. In order to be successful, education for sustainability has to first and foremost answer the questions: what do our children need to be healthy and engaged in learning, and how do we instill respect for self and others that will form the basis for a positive future? As a starting place our children need intimate connection with nature in order to develop a sense of empathy, caring and interdependence (Lopez, 1988; Pyle, 2002; Sobel, 1996, 2002). This is a critical issue today since children are increasingly living in a world where nature is inaccessible (Kellert, 2002; Pyle, 2002). If children are losing their sensitivity and connection to the natural world, what role, if any, can education for sustainability play in helping children develop a personal sense of value for the natural world? The central question remains: what are the elements of a curriculum that provide children with experiences that awaken and nurture care, concern and love? Sustainability educators recognize that nature and nature’s myriad life forms are not commodities to be exploited without cost. We must differentiate between Nature’s “interest,” its surplus, and not continue to draw down its “capital” as though there were no tomorrow. We have to consciously move towards “downsizing” modern culture, to live “bioregionally,” and to factor in “carrying capacity” in all our policy decisions. Until we do, any conversation about “sustainability” will be little more than an academic exercise. Leopold (1966) simplified the definition of conservation by suggesting, “To keep every cog and wheel is the first precaution of intelligent tinkering” (p. 190). We translate this to our children by providing opportunities to understand that just because you have the ability to use all of something doesn’t mean it’s a good idea. Acts of restraint like releasing the smaller fish back into the lake, not cutting all the trees or diverting all the water requires an ethical construct based on caring for something beyond your own immediate desires. 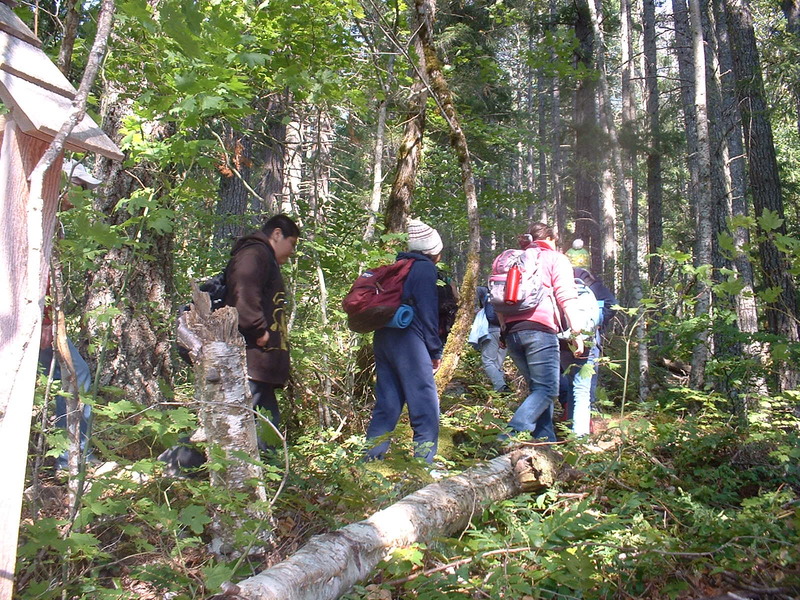 Natural resource-based conservation education, from which environmental education emerged, is regarded by some as an outdated idea. In a world where a growing population consumes ever more limited natural resources, conservation is an essential value that we must pass on to our children. Standing in stark contrast to modern consumption habits, land and water conservation is an important part of our heritage, rooted in traditional values and described by some of our best American writers. Its most meaningful lessons are best learned through interdisciplinary approaches to the study of natural resources. Central to environmental education’s proven success in improving student learning is its interdisciplinary nature. By looking at the relationship between humans and their environment through scientific study, literary exploration, artistic expression, and cultural history, a multi-faceted way of knowing is cultivated, critical thinking is enhanced and student’s enthusiasm for learning is improved (Lieberman & Hoody, 2002). This includes the opportunity for students to evolve their own thinking rather than being asked to merely accept the idea that a certain set of actions will “save the earth” and relying on fear to motive them toward action. Interdisciplinary education results in an increase in higher level thinking skills which impact the development of personal ethics. But, we argue, the environment is the best integrator, not the abstract concept of sustainability. Our children must also come to understand ideas associated with constancy, specifically conservation and equilibrium, as well as ideas about change (AAAS, 2007). We must help our children develop adaptability and resilience to the accelerated biological and social changes that are produced by a warming planet (Smith, 2010). We must also help them develop the ability to see the changes taking place in the landscape around them. Their resilience can be supported by the development of a sense of global interdependence based on their study of social decision-making, social conflict and political and economic systems (AAAS, 1994; Wheeler, Wheeler, & Church, 2005). Since much of technology centers on creating and controlling change, it is critical for children to study the designed world including agriculture, communication technologies and computers (AAAS, 2007). Shared experience creates cohesion and is the foundation for community. Our educational focus must include issues of access to the natural world and experiences that engender empathy, tolerance and constructive social interaction. Spending time together in nature is a great equalizer, providing opportunities for teachers to see students, and students to see each other, in a different light. Walls and Jinkling (2002) promote the merits of taking a more participatory, democratic, pluralistic, and emancipatory approach to education and sustainability, particularly in higher education. 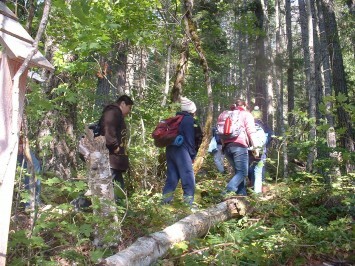 Access to nature should be a part of these educational efforts. Without an endless supply of energy to support our cultural needs we will be forever aspiring toward sustainability. As environmental education practitioners, we have always believed that the most important thing we can instill in our students is the ability to envision a future that is different from the one that they see laid out before them. Time and time again we have heard students describe the future as overbuilt, crowded and polluted. Our task, then, is to involve them in a personal and ecological healing that opens up the possibility of something other – a future born of love rather than fear. Can a curriculum based solely on the study of the definition and/or principals of sustainability and lacking opportunities to form a relationship with nature engender this love? With the growing anthropogenic pressures on the earth’s biotic communities and our increasing concern over children’s diminishing affiliation with nature (Louv, 2005), it is now essential to embrace a comprehensive educational transformation that is attentive to an ecological and practical wisdom of place. If education for sustainability embraces the best qualities of good environmental education (experiential, place-based, interdisciplinary and nature-centered) and embraces the big ideas that the two disciplines share, then as naturalist educators we are eager to participate and have much to offer. But if the field continues to differentiate itself by what it does not include, intentionally excluding the importance of connecting students to nature in deep and meaningful ways, we feel it represents a step backwards. A larger umbrella is needed, not a smaller one, and developing scope and sequence based on a foundation of hope and love is where the real work of education for sustainability lies. As emissaries of the natural world, we see sustainability education as heightening environmental literacy with the goal of creating a sustainable relationship between people and the environment. Inherent in this view is the assumption that environmental education is education for social and environmental change through a process of collective action (Elder, 2007). We assume that environmental education can improve relationships among humans and between humans and their environment (Wals, 1994). We also view environmental education as a potent means for educational reform rather than as a tool to modify children’s behavior with a predetermined endpoint in mind (Elder, 2007; Orr, 1991; Wals, 1994). Only by giving children the resources (i.e., environmental knowledge, experiences in nature and time to reflect), can they begin to engage in a wider participatory process of societal and environmental change. AAAS (2007). Atlas of science literacy (Vol. 2). Washington, D.C.: AAAS and NSTA co-publisher. AAAS (Ed.). (1994). Benchmarks for science literacy. New York: Oxford University Press. Bowers, C. (2010). Reflections on teaching the course “Curriculum Reform in an Era of Global Warming”. The Journal of Sustainability Education, 1. Capra, F., & Stone, M. (2010). Smart by Nature: Schooling for Sustainability. The Journal of Sustainability Education, 1(0). Church, W., & Skelton, L. (2010). Sustainability Education in K-12 Classrooms. Journal of Sustainability Education, 1(0). Friedman, T. (2008). Hot, flat, and crowded: Why we need a green revolution — and how it can renew America. New York: Farrar Straus & Giroux. Higgs, A., & McMillan, V. (2006). Teaching through modeling: Four schools’ experiences in sustainability education. The Journal of Environmental Education, 38(1), 39-53. Kellert, S. R. (2002). Experiencing nature: Affective, cognitive, and evaluative development in children. In P. H. Kahn & S. R. Kellert (Eds. ), Children and nature: Psychological , sociocultural, and evolutionary investigations (pp. 117-152). Cambridge, MA: MIT Press. Leopold, A. (1987). A sand county almanac and sketches here and there. New York: Oxford University Press. Lieberman, G. A., & Hoody, L. (2002). Closing the achievement gap: using the environment as an integrated context for learning. : SEER. Lopez, B. (1988). Children in the woods Crossing Open Ground New York: Charles Scribner’s Sons. Moyer, B. (Producer). (2010, June 16, 2010) Barry Lopez. Bill Moyers Journal. Podcast retrieved from http://www.pbs.org/moyers/journal/04302010/transcript3.html. Nolet, V., & Wheeler, G. (2010). Education for sustainability in Washington state: A whole systems approach. The Journal of Sustainability Education, 1(0). Pyle, R. (2002). Eden in the vacant lot: Special places, species and kids in the neighborhood of life. In P. H. Kuhn & S. R. Kellert (Eds. ), Children and Nature. Cambridge, MA: MIT Press. Rowland, P. (2010). The many faces of sustainability. The Journal of Sustainability Education, 1(0). Smith, G. (2010). Sustainability and schools: Educating for interconnection, adaptability, and resilience. [Case Study]. Journal of Sustainability Education, 1(0). Sobel, D. (1996). Beyond ecophobia: Reclaiming the heart of nature education. Great Barrington, MA: Orion Society. Sobel, D. (2002). Children’s special places. Detroit, MI: Wayne State Press. Sobel, D. (2008). Childhood and nature: Design principles for educators. Portland, ME: Stenhouse Publishers. Wals, A. E. J. (1994). Pollution Stinks! Young adolescents’ perceptions of nature and environmental issues with implications for education in urban settings. De Lier: Academic Book Center. Wals, A. E. J., & Jickling, B. (2002). Sustainability ín higher education: From doublethink and newspeak to critical thinking and meaningful learning. International Journal of Sustainability in Higher Education, 3(3), 221-232. Wheeler, B., Wheeler, G., & Church, W. (2005). It’s all connected: A comprehensive guide to global issues and sustainable solutions. Seattle: Facing the Future: People and the Planet. Wilson, E. O. (1994). The Naturalist. Washington, DC: Island Press. Wilson, E. O. (2006). The creation. New York, NY: W. W. Norton and Company, Inc.